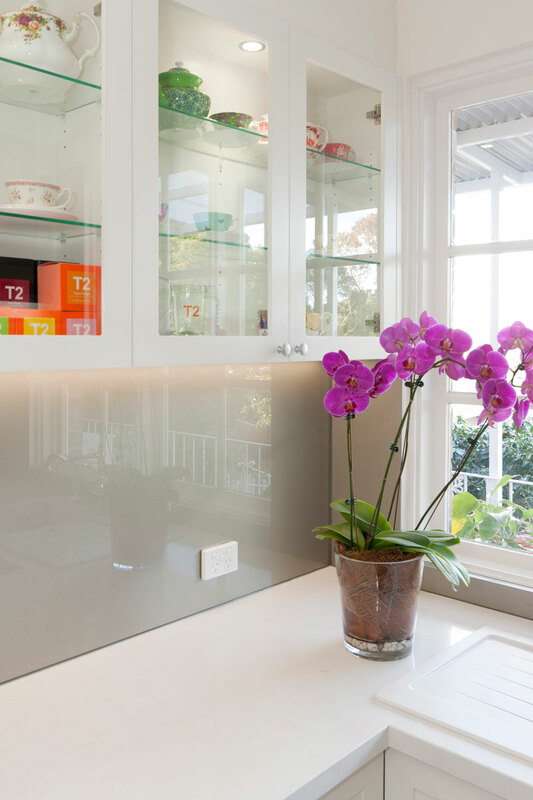 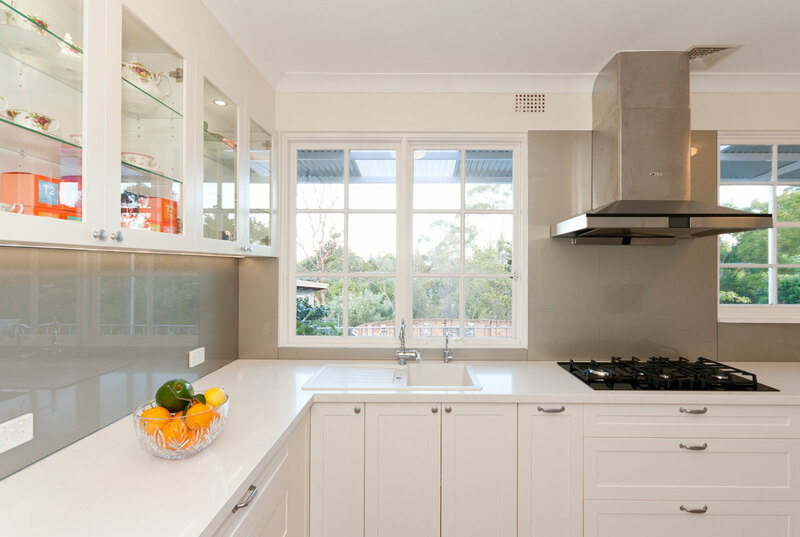 This kitchen evokes that warm, familiar feeling of home the instant you walk in. 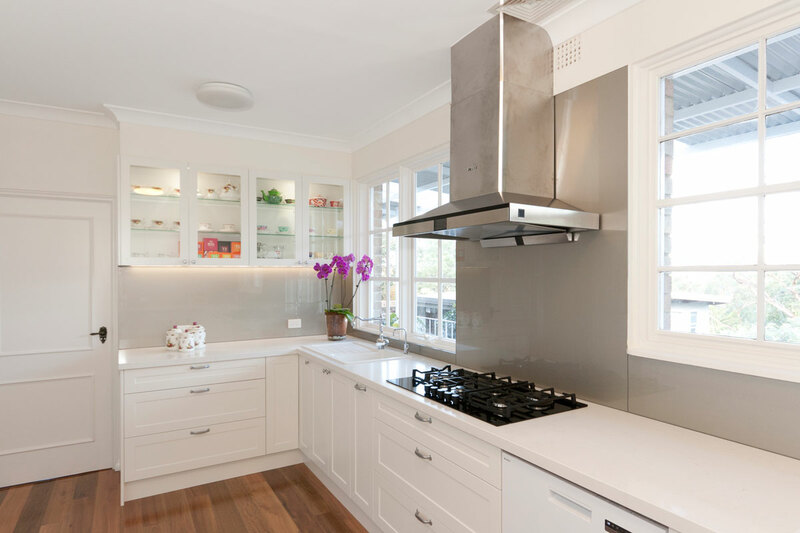 Shaker profile doors and detailed handles bear a soft, classic character while the glass doors inspire and express the owners’ unique and delightful personality. 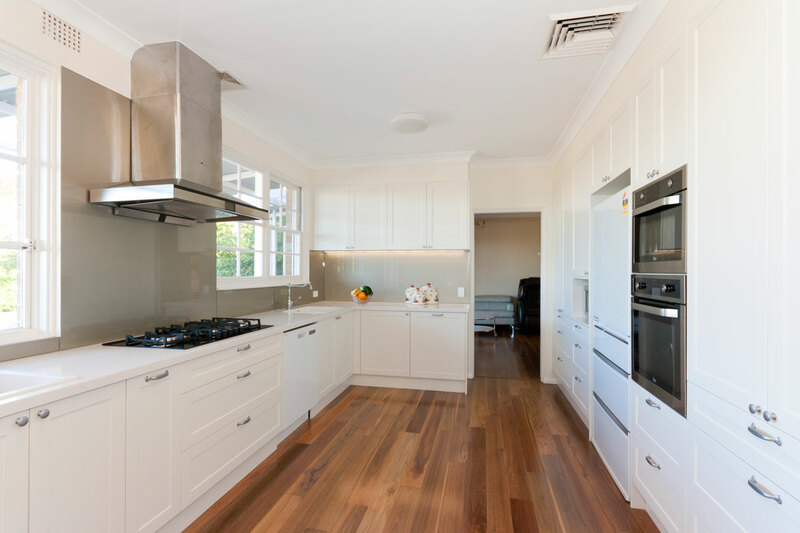 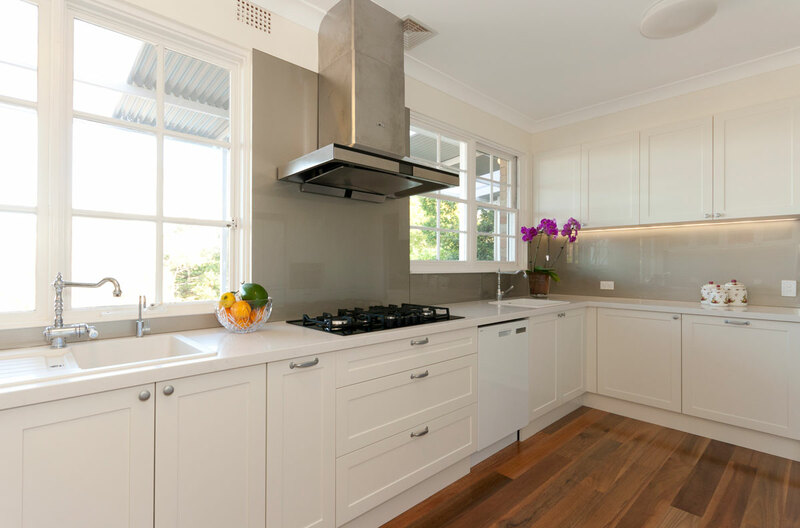 Built to accommodate a larger family, a wall of full height joinery allowed for plenty of storage and perfect placement of all food storage and cooking appliances.